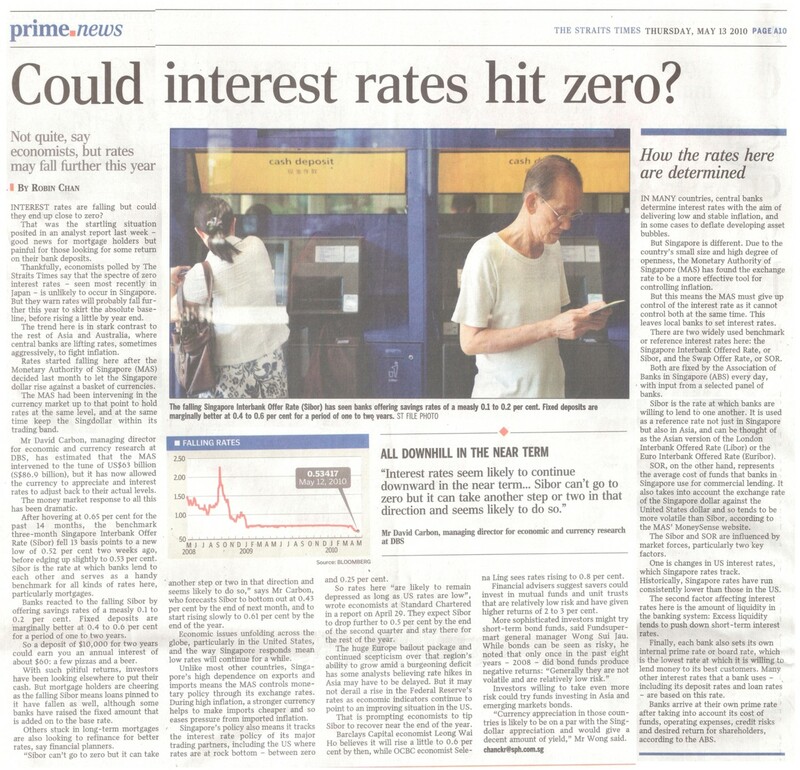 Could interest rates hit zero? 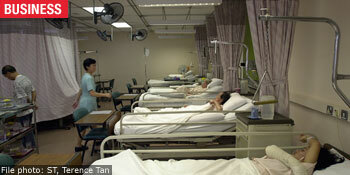 SINGAPORE - Health Minister Khaw Boon Wan paid only $8 from his pocket for his heart bypass in May. In order to reiterate the importance of adequate coverage, Mr Khaw said in his latest blog post yesterday that his operation, at the National Heart Centre Singapore (NHCS), was mostly paid for by MediShield and a private Shield supplement, while Medisave helped in the co-payment of the rest of his hospital bill. According to figures on the Ministry of Health website, the bill for heart bypass surgery is less than $30,000 for nine in 10 patients staying in an A class ward in NHCS. 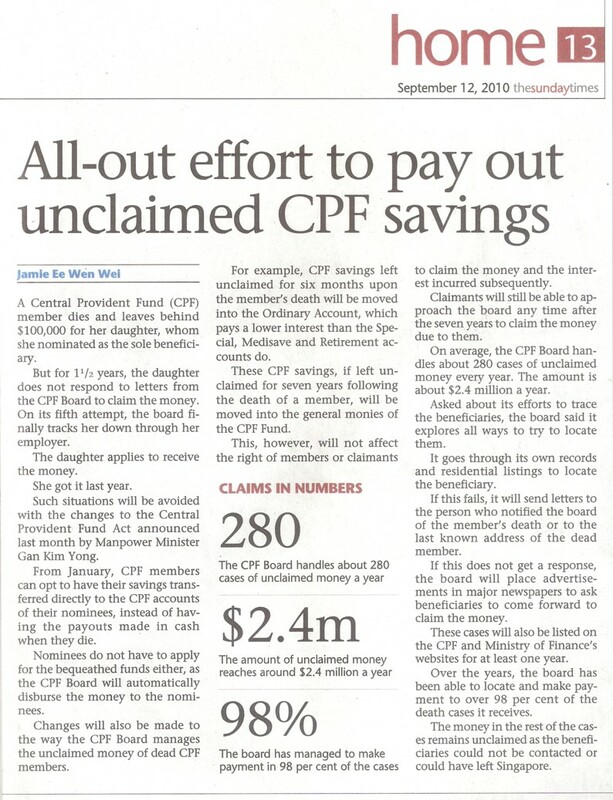 Those covered under MediShield - a basic insurance scheme for CPF members - can choose to top up their basic coverage by supplementing it with plans from private insurers, while Medisave allows members to dip into its accounts to pay for hospitalisation expenses. 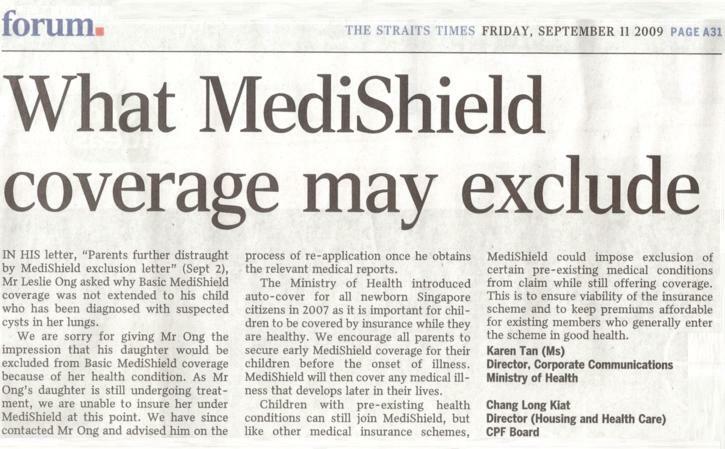 Recounting a recent meeting with health insurers, Mr Khaw also flagged the possibility of extending MediShield to cover mental illness, congenital illness and neonatal treatment. Mr Raymond Fernando, whose wife suffers from schizophrenia, told MediaCorp such a move would "greatly help in relieving my financial burden and, hopefully, lead to other insurers taking the cue". 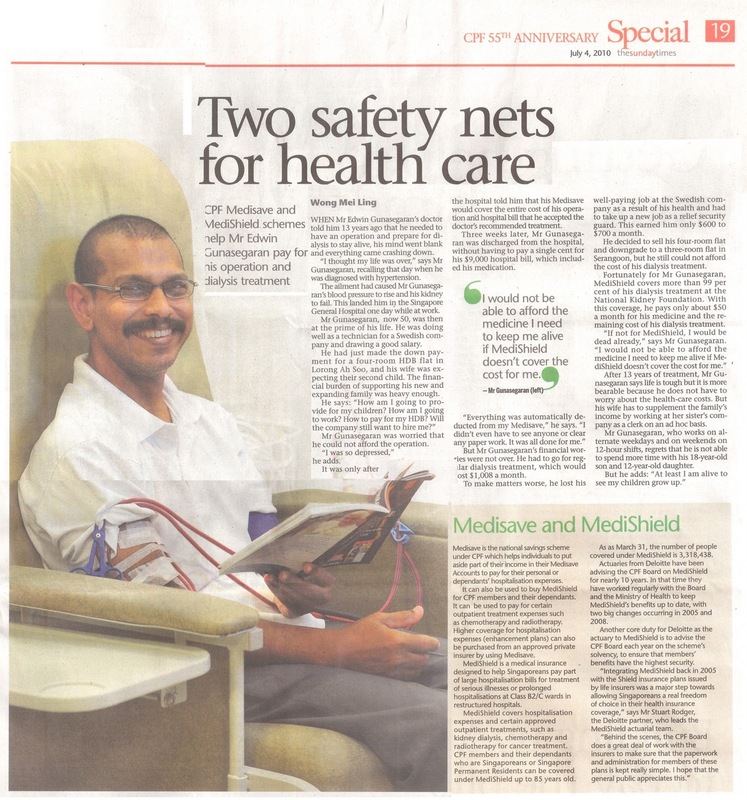 It could also reduce the stigma of mental illnes and encourage more patients to come forward, said Mr Fernando. 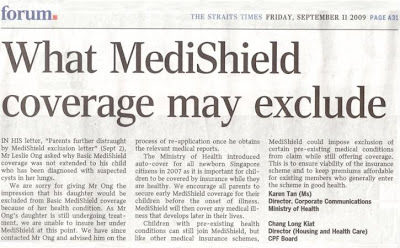 Another idea floated during Mr Khaw's meeting with the health insurers was to raise the MediShield claim limits on outpatient cancer care, which stand at $300 per weekly treatment cycle and up to $2,800 for radiotherapy treatment. 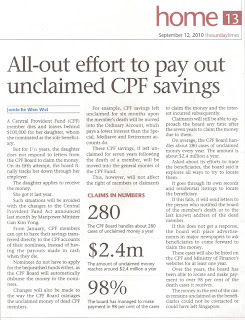 Mr Khaw added that there was also discussion on raising the monthly payout for ElderShield - a severe disability insurance scheme - to extend the monthly basic payout of $400 and to extend the payout period beyond six years. MENTION the word "insurance" and most people tend to yawn, change the topic or, in some cases, literally vanish. It is undeniable that the subject becomes unbearable when pesky insurance agents descend on you and try to shove different products down your throat. However, the benefits of getting insured is apparent in the long term, as adequate insurance coverage is a necessity. The time to seek cover is when one is young and healthy, as insurers grant full coverage and at a lower premium. But, more importantly, insurance coverage is critical as one's future is unpredictable. Individuals will also want to think about their dependants - parents, as they become older and unable to work; one's spouse, who may be tied down by financial obligations like home-mortgage and other personal loans; and one's children, to fund their education. Besides death, other tragedies can occur. Then, hospitalisation and health-care bills will be an immense burden. You do not want to drain your loved ones' savings. Life insurance is one of the most basic, yet critical, types of policies you should have. Life insurance is a contract between an insurer and a policyholder, where the insurer agrees to pay a designated beneficiary a sum of money upon the contracted individual's death and, in some cases, if the individual becomes critically ill or suffers from a permanent disability. In return, the policyholder pays a stipulated premium, either at regular intervals or in a lump sum. According to the latest statistics from the Life Insurance Association of Singapore (LIA), the industry paid out a total of $1.85 billion to policyholders and beneficiaries as of end June. Of this, $210 million was related to death, critical-illness or disability claims, while the remaining $1.64 billion went to policies that had matured. 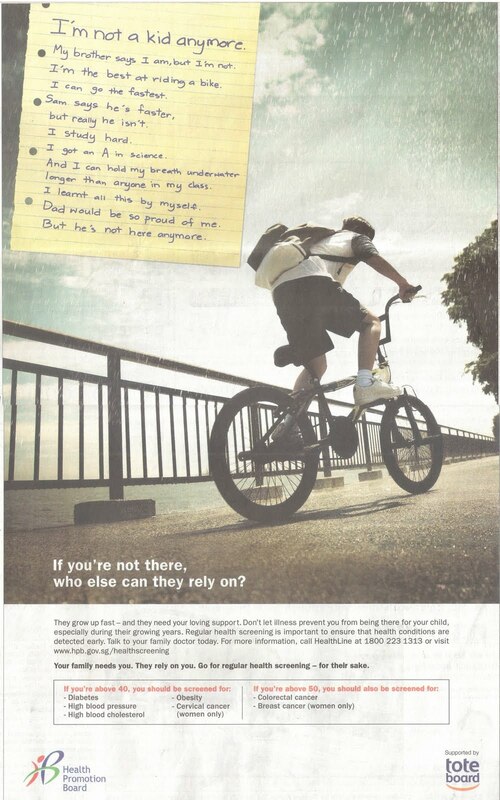 With more than 140 registered insurers in Singapore offering a wide variety of life-insurance policies, it is no surprise that even those interested in the product may feel overwhelmed and not know where to start looking. Issuers say a variety of factors determine the type of insurance policy and extent of coverage one should look for. These revolve around one's age and the stage of life one is at, including marital status, children, medical history, earning capacity, goals and anticipated financial needs. For example, a person in his 20s to 30s who is unmarried would typically be focused on building his career and on asset accumulation. With his financial resources in the foundation phase, his main concerns should be in the areas of accident and disability protection, as well as on investment. On the other hand, a married couple in their mid-30s to early 40s with children should be more focused on wealth accumulation and enhancement. They should look towards family security and debt cancellation, focusing not only on the same aspects as those in their 20s to 30s, but also on the long-term care and welfare of dependants. "A person's sum assured (or the insurance coverage needed) should be roughly 10 times of his annual income, as a rule of thumb," said insurer Great Eastern Holdings. The company pointed out that term-insurance plans, the cheapest among the various types of life insurance, can cost less than $50 each month. Whole life-insurance policies, meanwhile, cost much more because they offer longer-term protection and have an investment component. The LIA points out that individuals should expect to receive three documents from their financial advisers at the point of sale - a guide to life insurance, a product summary and a benefit illustration. It also advises that individuals purchase insurance policies on a needs-driven basis, and always after conducting a cautious analysis of financial status and the ability to pay long-term regular premiums. While individuals can choose to cancel or switch insurance policies, this must be done wisely as premiums paid will not be refundable, and there are typically penalties imposed on policyholders for early policy termination. Individuals switching from one policy to another might also want to ensure that they do not cancel the original policy until the new one is in force - you do not want to be left without coverage, especially for a long period of time. While there is no cap to the number of life-insurance policies an individual can buy, critical-illness and permanent-disability claims is subject to certain benefit caps. Multiple claims cannot be made if coverage is on a reimbursement basis. Financial advisers' track record should be also evaluated, not just the range of products offered. Other tips the LIA suggests include not taking up any policy if you are unsure of its scope and functions, as well as insisting on having all documents. ALSO known as ordinary, permanent or straight life insurance, this type of policy provides life-long protection that pays out a benefit to a contracted individual's beneficiaries upon the policyholder's death. Such policies sometimes also cover critical illness and permanent disability. It typically also has an investment component, which builds up cash value that the policyholder can withdraw or borrow against to meet future goals. Note that the rate of returns here may not be as competitive as other investment alternatives. Often, such policies allocate more money as one ages to the mortality component, while what goes into the investment portion is reduced over time. This is a pure protection plan that covers a contracted individual for a fixed period of time. The benefit is specific, and will be paid out only if a policyholder's death occurs within the specified time period. Premiums for term insurance are usually lower than those for a wholelife policy, and such policies offer higher coverage for most people, except for those advanced in age. This is due not only to the shorter time period of insurance coverage, but also because the policy does not have an investment component. Variable life policies are like whole life policies, except that they allow more flexibility in the investment component. A contracted individual is able to choose from a range of investment options within an insurer's portfolio, such as stocks, bonds and certain types of funds. The insurer often manages these investment products itself, collecting a fee. 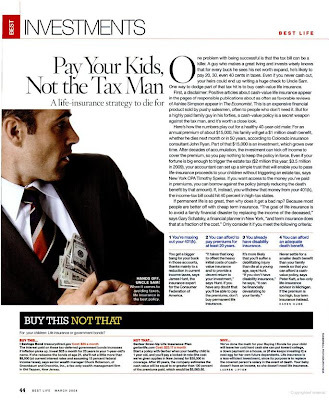 Financial planners, however, warn that such policies are only for riskoriented individuals and those unlikely to need to tap on their savings on a short notice. Variable returns fluctuate with the direction of financial markets and, if the markets plunge, the cash value portion of the policy will be severely affected. Universal life policies allow a contracted individual to review and shift money between the mortality and investment components. The cash value of investments can thus grow at an adjusted variable rate. 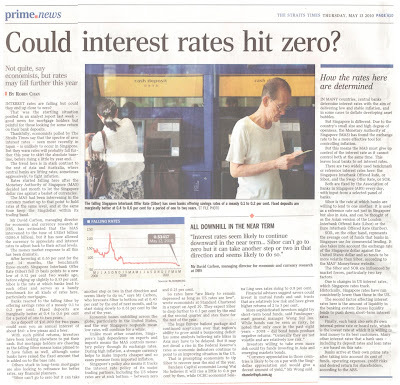 Most of such policies also guarantee a minimum interest-crediting rate. The policyholder can also adjust the premiums as his circumstances change. Although highly flexible, universal life policies have certain drawbacks. If you choose to pay lower premiums at certain times, you might have to pay higher charges later on. The alternative is to drop the policy and withdraw the cash value you may have built up. But, if you drop the policy early, you will have to pay a surrender charge. Is savings enough for retirement? For many young adults, retirement is not something they are thinking about at this stage of their lives. Those who have been working for less than 10 years have only recently begun to establish their careers, so foremost on their mind would be working to achieve success in their respective vocations. For them, life still has a lot to offer, and the process of winding down an active lifestyle and retiring is, quite simply, not high on their list of things to do. According to the findings of the AXA Retirement Scope 2010, a global retirement study conducted across 26 countries in Europe, the United States and Asia, the percentage of the Malaysian working population who have started preparing for their retirement has declined from 48% in 2007 to 38% in 2010. The study also shows that among the 38% who have started to prepare for retirement, most of them did so only at or near age of 40. Meanwhile, 46% said they would start to prepare for retirement when they hit 50. Among the young, only one in five has started to prepare for retirement. Most of them do plan to start but rather late, at age 46. Take for example, Anusya Sree, 28, who got married late last year. "Retirement is not something I am thinking about at the moment; and isn't it a negative thought with so much yet to do? I am only just experiencing life as a married woman. I am looking forward to spending many happy years with my husband and raising a family of our own," says the bank executive. For Anusya, her priority now is to ensure she has a successful career. "I have been working for five years, and am enjoying the thrill of being an independent working adult. I have not even decided when I will have children, much less when I will retire." Similarly for Nicole Tan, 26, a producer for an online travel web portal, retirement is not high on her list of priorities at the moment. "No, I have not started planning. I would like to build up my career so I have a good platform from where I can start planning for retirement. I am saving up to buy my first property, if that counts." However, she is aware that having sufficient funds in her retirement years will require a large amount of money. "It would be an astronomical amount. I am not capable of reaching even 10% of it at the moment," says Tan. 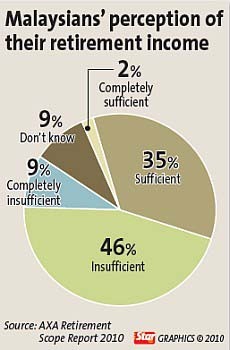 Findings of the AXA Retirement Scope 2010 survey confirm the general perception that only 14% of the Malaysian working population know exactly how much their retirement income should be. However, not all young adults are focused on the here and now. Badrulsyah, 35, for example, started planning for his eventual retirement five years ago. "It is vital for one to start planning early. I learnt that if you leave it to the last minute, you will not have enough time to build up sufficient funds. "I also know I cannot count on EPF savings alone. After making withdrawals to buy a house, for example, there is even less money to last through the retirement years," says the self-employed entrepreneur. 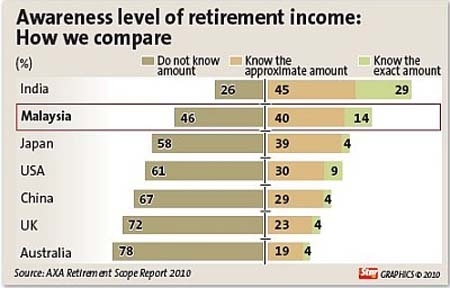 The AXA Retirement Scope 2010 survey findings show that the working segment's (especially young and mid-life) level of confidence in their own amount of retirement income suffered a big drop from 2007. Only 37% of the working population now consider their future income to be sufficient compared with 62% in 2007. Badrulsyah roughly estimates that he will need about RM750,000 (S$312,572) in his retirement fund and if invested wisely, should generate an income stream of its own. "I try to put away 50% of my income every month, and this includes EPF contributions, insurance premiums, property investments and more." "However, it is not easy as there are other obligations such as the house and car loans, utility bills and food expenditure," he says. Lee Yun-Han, 25, is one who had his life mapped out from when he was still in secondary school. "I came up with my lifetime plan 10 years ago - become a professional chartered accountant, work my way up the corporate ladder and become the CEO of a listed company." Lee saysthe accounting path did not work out so well, but his plan is still on course. "I modified my plan, and today I work as a management consultant. I am now in step two of my plan, and remain hopeful that I will reach step three before I retire." Lee also believes it is crucial to start planning early. "Life goes by really fast, and before you know it, retirement is just around the corner. I have now lived a quarter of a century, and the time seems to have passed in a blink of the eye. With another blink, I will be 50, and in a third blink, I could be pushing up daisies (deceased)." Lee has done his homework on how much he will need for retirement. "I estimate that I will require at least RM5.1mil (S$2.1 million), assuming that I live for another 35 years and need RM5,000 (S$2,083) a month to get by." "I make a conscious effort not only to save, but also to grow my savings by investing in a diversified portfolio of shares and property." "Right now, 50% of my income goes to servicing my loans on investment properties, 30% to bills, and 20% to cash reserves. There is a separate slush fund for girlfriend expenditure that is not on the books," quips Lee. 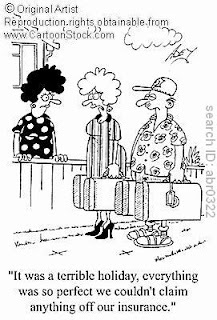 Furthermore, not everyone who is not planning for retirement is living an extravagant lifestyle. Anusya says that she does not spend money freely. "Money is hard to come by - that much I have realised over the past few years. I realise now that I am more careful with my own money than I was when getting hand-outs from my parents!" She says that she does buy the occasional piece of designer wear and her husband sports the latest-generation mobile phone. "We like to enjoy life, and if this means spending money, then we will. But we only do so after the bills have been paid and there is money to spare." Anusya also says that they have other financial priorities besides retirement planning. "We are saving to buy our own house, and also need a second car. Even after we have enough for that, there is the family issue to think about." "Quite frankly, I do not see a distinction between the act of saving money and planning for retirement. We put some money away every month for what we call our 'emergency' fund, so isn't that the same?" Similarly, Tan likes to enjoy life, and she has a passion for visiting new places. "I have an addiction to travel, so there's quite a heavy monthly expense there. But I try to save about RM1,000 to RM2,000 (S$417-S$834) every month." She says that she does not have any fixed monthly commitments now, but she expects more of them in future. That could be one of the reasons she still puts money away whenever possible, and not necessarily for retirement. "I started saving five years ago when I got my first full-time job. I would feel insecure if I had no savings. We will always need to save for that rainy day that could hit us anytime - be it being stuck in a period of unemployment, or hospitalisation fees for a close family member, or to cover for those days when we just want to quit and travel the world," she says. Ultimately, those interviewed wished that their retirement will come at a time they choose, and not be forced upon them. "The retirement age is something forced upon you by virtue of policy and legislation. If you enjoy and love what you do, it becomes a passion - and you do not retire from a passion," says Lee. "I would want to continue working past the retirement age of 55 - not because of the money, but because I would be able to contribute so much more to society. I would very much want to keep my body active, my mind sharp, and my spirit alive." But for Linda Eng, 31, an administration executive with a construction company, retirement planning is not just about saving. 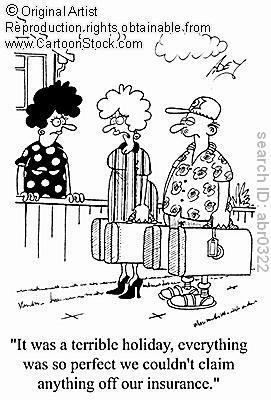 "Yes, I have my own contingency fund for my retirement, i.e. 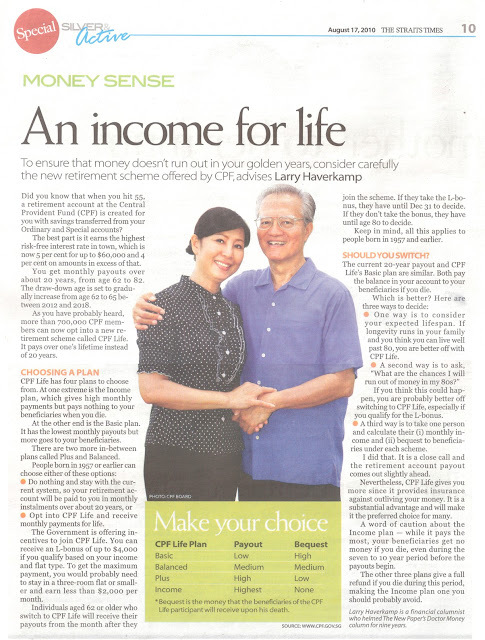 savings in the bank, a small investment amount in unit trust funds and, of course, EPF. I am now planning to buy a house for my retirement. So, I have to work hard to ensure that my retirement life is well planned." "Recently, however, something happened that made me realise only having savings is not enough. I need to also protect what I have saved." She explains that one of her colleagues who seemed to be in perfect health, ate well and kept a balanced lifestyle was diagnosed with cancer. "It was a terrible shock to all of us, and what was even more shocking was that he had to spend close to RM100,000 (S$41,676) for medical treatment. He and his family had to use some of their hard-earned savings, which was meant to be used for later years. It was gone in a blink of an eye!" While Eng accepts that uncertainties in life cannot be controlled, "It can happen to anyone at any age", she believes one can take precautions. IT'S A well-known fact that investors love "hot" stocks. They're always interested in learning about the latest market sentiments, which companies other investors are putting their money on, and chasing stocks that are on the upswing. But following the market is one of the worst ways to make investment decisions, experts say. Investors miss prime buying opportunities and lose out on good returns, especially if they focus only on the short term. "Value in the long run is determined by (company) fundamentals, while short-term gyrations reflect market participants' psychological weaknesses, such as herding," Georgetown University accounting and finance professor Prem Jain wrote in his latest book, Buffett Beyond Value: Why Warren Buffett Looks To Growth And Management When Investing. "Knowledge is the best antidote to making wrong decisions," he said. Such knowledge applies on a variety of fronts: understanding market psychology, examining the intrinsic value of a stock, and identifying your own buying and selling patterns. Prof Jain may have highlighted the importance of fundamentals, but he and other experts would add that fundamentals alone do not drive stock prices - investors' emotions also play a role. Stock prices often move in wild swings, particularly in the short run, because they are driven to a large extent by emotions and human behaviour. Fear, greed, attachment, overconfidence, denial and optimism drive the market, often without much basis. Most investors also don't have the self-discipline to overcome these emotions. Market trends leading to booms and busts do not last forever and will eventually reverse. As historical data shows, there are few warning signs for investors to take heed of before the market moves in the opposite direction. 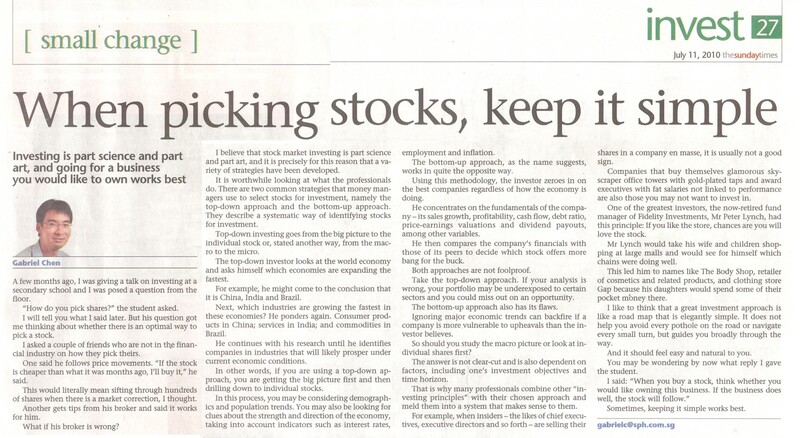 Investors thus need to learn how to spot when emotions and human behaviour are driving stock prices. They need to look beyond what others are buying and think of a winning strategy instead. 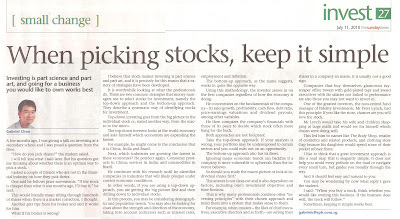 Essentially, investors need to prepare and pre-commit, argued Mr James Montier, author of The Little Book Of Behavioural Investing: How Not To Be Your Own Worst Enemy. He pointed out that investors can and do control the process by which they invest: They simply need to remove the drivers of forced decisions from their portfolios. To do that, they need to do their research in a cold, rational state. They must seek out the intrinsic value of a stock, and then pre-commit to following their own analysis and prepared steps of action. Firstly, an investor might want to evaluate the fundamentals on a combination of fronts, such as the price-to-earnings ratio of the stock, its track record, how conservatively the company is financed, and what makes the stock likely to be worth more in the future. Mr Montier also pointed out in his book that it's useful to have a "wish list" of companies you believe to be well-run and have sustainable potential, but are priced too high. Standing orders can be placed with brokers to buy these stocks if, for some reason, the market brings their prices down to bargain levels. Still, it might be also a good idea to follow Mr Buffett's core investment principle of investing only within your circle of competence, buying stocks of companies whose businesses you truly understand. Another notable point highlighted by experts is that investors should focus more on the process of investing, rather than on just the outcome, as there are no magical short cuts to being a good investor. 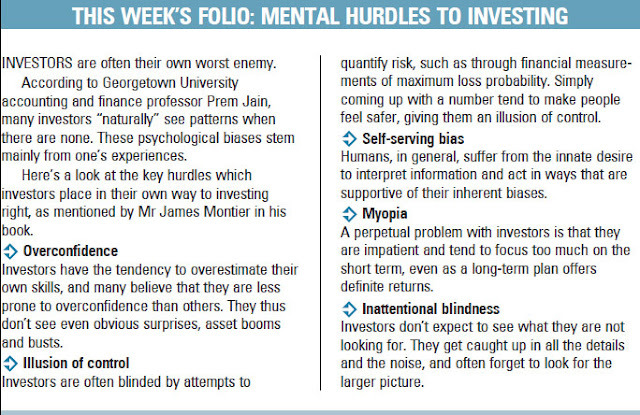 Investors need to understand their own investment habits, particularly where their weaknesses lie. And this is best done by putting it all down on paper, said Prof Jain. He encouraged investors to write down the various investment decisions they made, what types of stocks they bought, pinpoint the reasons behind the decision, and separate all the months the market went up from the months it went down. This would enable an investor to establish if he is a net buyer or net seller during the various months, and whether he may have a herd mentality. "Systematic thinking will help you determine what you know or do not know, and help to overcome your psychological biases," said Prof Jain. "Ultimately, everyone has to make judgment calls, but following a systematic approach will help you know when you are making a judgment call." BUY-AND-HOLD investing came in for a hammering with the crisis of 2008, as did diversification. Thanks to deep losses in the recent downturn, more advisers have begun to trade client portfolios more actively at the margins, an exercise called 'tactical' asset allocation - or, to put it more plainly, market timing. But this practice came in for a beating at a talk earlier this week at the Private Wealth Management Conference organised by the CFA Institute. In a talk laced with humour, Meir Statman, Glenn Klimek professor of Finance at Santa Clara University, had a very clear message for investors and advisers. Prof Statman's research focuses on behavioural finance. The first lesson, he says, is to know yourself, your goals, and errors. The second is to assure yourself by knowing not just the science of financial markets and instruments, but also the science of human behaviour. He likens financial advisers to financial physicians. 'Physicians take care of your health, and financial advisers your wealth and well being . 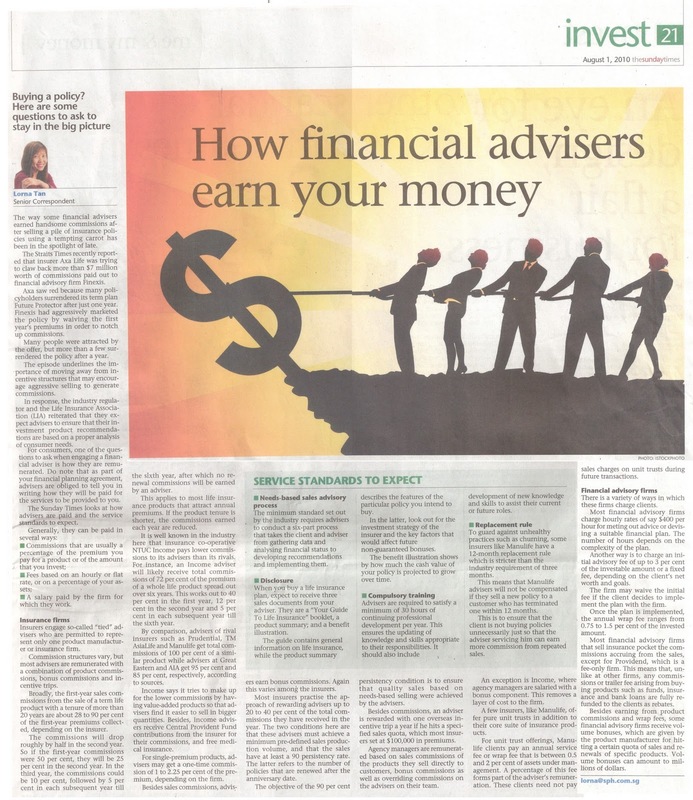 . . Good financial advisers have to listen, empathise, educate. That's a big job. People, he says, have been disappointed by diversification, which failed to provide any cushion from loss at the worst of the crisis. Assets in a portfolio are picked for their low correlations with each other, so that they should not rise or fall in tandem. But in a crisis, correlations among most assets spike. 'Diversification assures you that you won't have all your eggs in the crummiest asset. But it also means you won't have your entire portfolio in the best. But you'd be in between. He cites a joint study with Kenneth Fisher, to ascertain if the implementation of PE trading rules work. Between 1871 and 2002, US$1 invested in the stock market grew to about US$67,000 using a buy-and-hold mode. 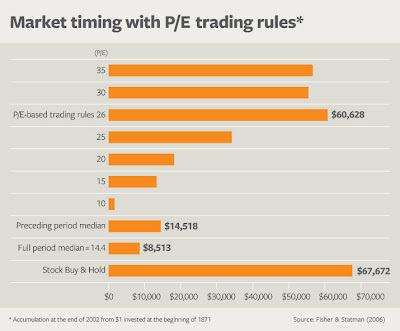 In contrast, a trading rule of investing whenever PEs dropped below 26 times would have netted roughly US$60,000. If market timing isn't a panacea, why do many people - finance professionals included - believe that it is? A number of human traits can explain this: Overconfidence; 'representative' error which is the human tendency to find patterns where they may not exist. The latter error blurs the line between hindsight and foresight. Trading, in any case, is a zero sum game, he says. 'If I think the market is too high and I sell, someone else is buying it. There is an idiot in every trade and if you don't know who it is, you're in trouble . . .
Investors, he says, can protect themselves by making advisers their allies. 'To advisers, I say make yourself worthy of the designation. 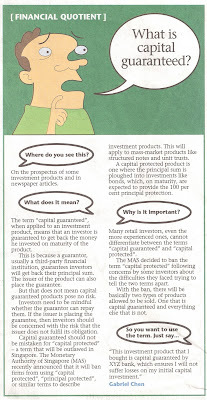 While modern portfolio theory (MPT) is routinely taught in finance schools, it is impractical in practice. MPT has a number of key assumptions - that investors are rational and risk averse; that there are no trading costs, for instance. 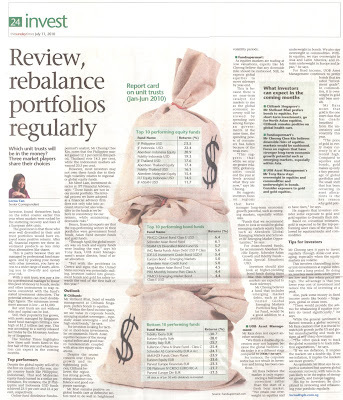 It points investors to 'optimal' portfolios which represent a combination of assets that give the maximum return for a given level of risk. Together with Hersh Shefrin, Prof Statman published a paper in 2000 on 'behavioural portfolio theory'. It posits that investors have multiple mental accounts, and the resulting portfolio does not coincide with a traditional portfolio based on MPT and an efficient frontier. The behavioural portfolio basically is a two-level pyramid where the lower layer is designed to avoid poverty, and the higher layer is designed 'for a shot at riches'. Risk tolerance itself may be linked to culture. Prof Statman has written a paper on this - The Cultures of Risk Tolerance. He finds that people who are more trusting, for instance, are more willing to take risk. Those from countries where incomes are relatively low are more willing to take risk. In 'collectivistic' societies, where there is a family network and cohesive ties, risk tolerance is also higher. This could be because an extended family provides a downside cushion. At the other end of the spectrum is the 'individualistic' society where individuals are expected to look after themselves. Singapore and China rank fairly low on the individualistic scale, and the highest ranked are the US and UK. 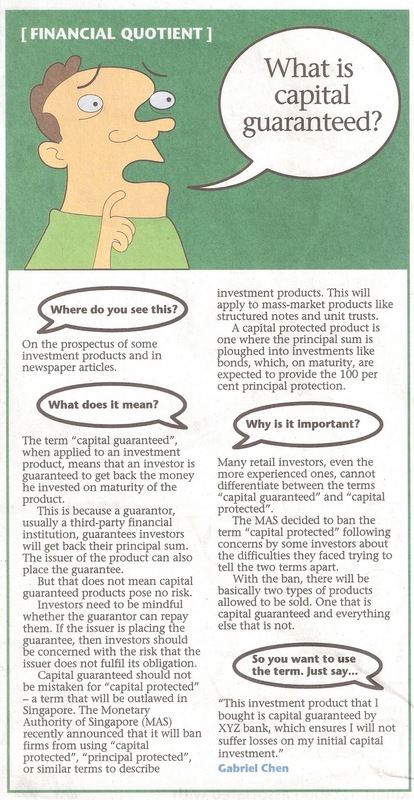 Prof Statman himself keeps his investments 'very, very simple'. 'What do I do in a crazy market? I invest and close my eyes rather than try to pick out where the mania will go; it's self-defeating. Once you've made the plunge to invest, switch off the noise from news commentators, he says. 'I keep my investments very, very simple, and I think I've done very well. I invest exclusively in index funds and let stuff take its course. I have enough money in my downside protection account to make sure I'm not going to be poor. 'The money in my upside account, I don't do options. The stuff I have in equities, sometimes it goes up and it goes down. I shrug, what can I do?